Boss has been very kind to us dogs this year and I was lucky to have even won a few cool new items through his giveaways. I just wanted to offer up a couple of pieces of damascus to the pound and pay it forward!! I have set aside 3 billets of HHH Damascus Each is approx 6" long and 1 1/4 wide. 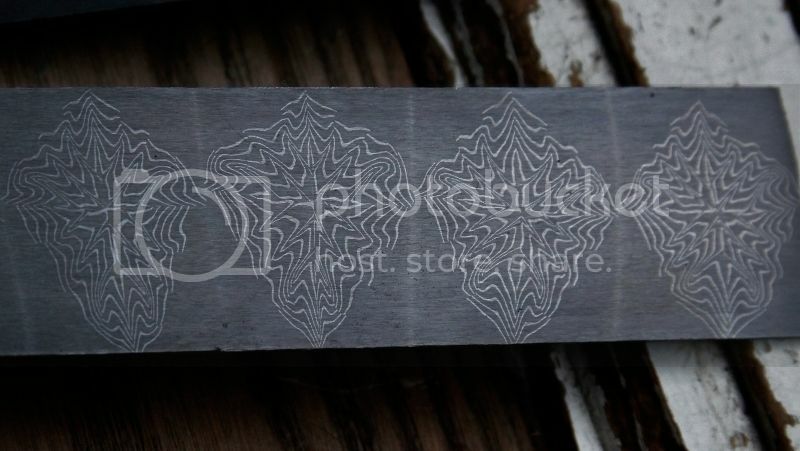 with a thickness of 1/8" This is High Carbon damascus, annealed and precision ground. All ya gota do to enter is say IM IN.. And maybe say something nice about Knife Dogs! You can enter once a day. This will run until 12/01/2013 at approx 5:00 PM EST. Ill use random number generator to select the winners. Thanks Boss for the great place for us knife makers.. and God Bless you all! In for Friday. Thanks for the chance. That's awfully nice! im in. thanks randy I loved working with your steel you now I am in. I am in for it at the best & most friendly knife site on the internet! So cool of you to do this! You know Im in Randy. Knife Dogs forum is a sweet 'behind' forum. Good on you Randy, it's been a while. Reminds me of the good old days, you couldn't swing a dead cat without running into a GAW or a ra/ff/le around here. You know i'm in Randy.